Not so long ago, in a land known as The Internet, I was approached by a digital music maverick by the name of Jay. We spoke at lengths about electronic music, remixes, and so forth. The previous time we did this, it resulted in the release of my original production, “Lush,” which was a Good Thing indeed. At the end of this particular conversation, he signed me up to do a remix of Benz & MD. I did two, and they came out on US based Proton Music. As the Times Colonist duly noted, Alzu’s has closed it’s doors for good. For better or worse, I knew what Alzu’s was. It was a 24 hour restaurant on Bay Street. Lets get one thing out of the way to begin with: Alzu’s was not fine dining. Are we good with that? Let’s proceed. Victoria’s seen only a handful of 24 hour restaurants. QVs (still open, but not all night), Paul’s Motor Inn (same deal), Denny’s (still does as advertised), etc. As a night owl, a DJ who plays the latest of late night gigs, and a general coffee-consumer at non-traditional hours, I knew Alzu’s fairly well. Alzu’s was home to all sorts of clientele. Headbangers from Langford, taxi drivers from all over town, skaters, Victoria’s version of thugs, some folks who were true believers that they were Vampires, World of Warcraft (or whatever online game – take your pick), and us, the pre-internet internet nerds. I once saw Alzu himself in the restaurant. I asked if I could take his photo. He was confused as to why I would ever want to do that – it likely didn’t occur to him that his name was part of our freenet culture. 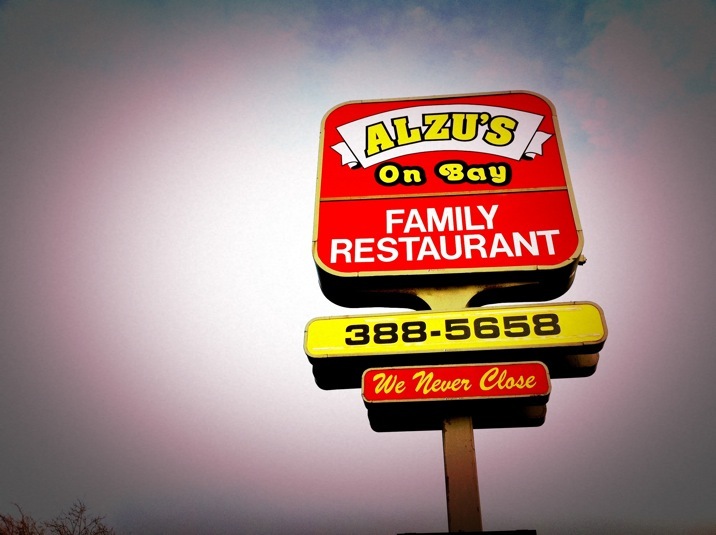 I wonder if the ownership of Alzu’s realized they were being talked about on the Victoria Freenet’s IRC (Internet Relay Chat) in the mid-nineties by a bunch of teenagers. 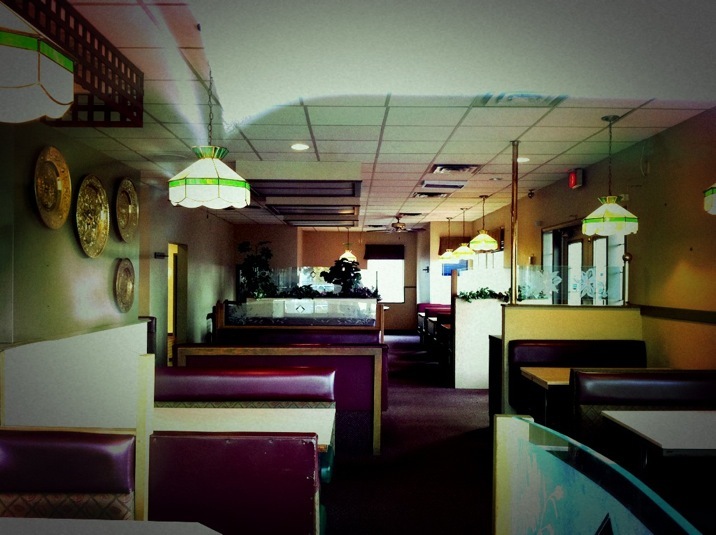 We liked it because it wasn’t Denny’s, and it was pretty laid back and comically accessible. We knew the safe and unsafe menu items, we knew when the post-bar rush zoo would occur, and we would not likely be seen there when other things were open. But at night it was one of only a few options, and the ordinariness of a family restaurant was what attracted us to the place at night. There was a waiter there that we referred to as Dave Babych, the ex Canucks hockey player, but he was not at all Dave Babych. His similarity was somewhat uncanny, at least it was to us, over and over again at 3 or 4 in the morning. He had a laugh that we believe he laughed at while laughing. Why do I bring this up? Because Alzu’s was that kind of place – home to characters. 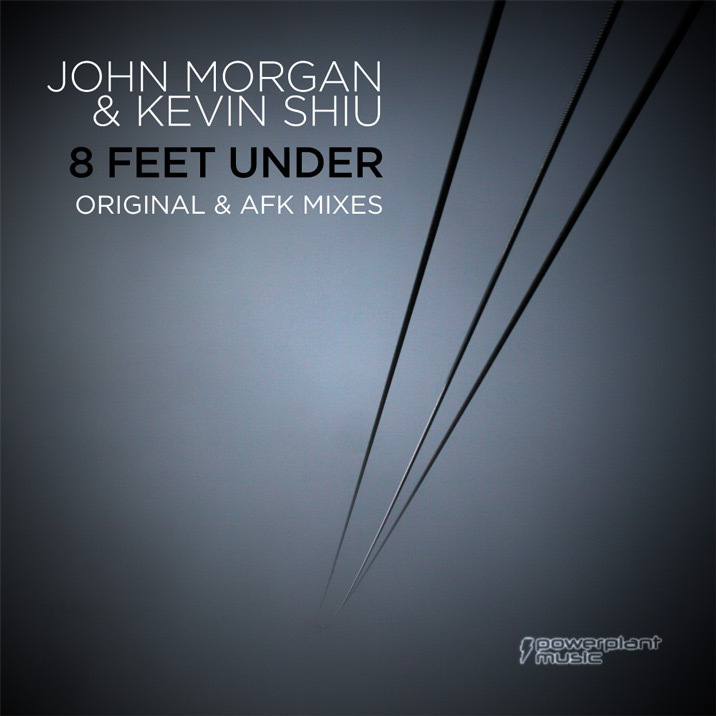 John Morgan and Kevin Shiu have long been good friends, amazing DJs, and producers to boot. I have many fond memories of hanging with them both on Vancouver Island and in the legendary Lotus nightclub in Vancouver’s downtown area. When they offered me the opportunity to participate in a release on Powerplant Music, I jumped at the honour. The original track is a pretty dark progressive tribal house piece that would not at all sound out of place in a Sasha or John Digweed set. My remix takes the deep, creepy melodic bits and sticks them in a progressive house + breaks adrenaline rush. One of my favourite remixes to work on – so many great parts to work with. I’ve made this a free download – full quality if you’d like, since it’s no longer for sale. Enjoy it in your car, or at the gym, or just really loud. DO IT!